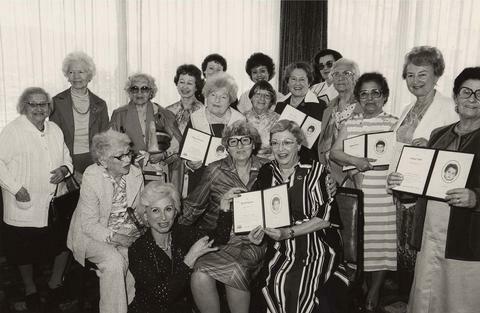 1 photograph : b&w print ; 4.5" x 7"
Photograph depicts a group of women, several of whom are holding booklet picturing their sponsor child. Written on the verso: "Crop top + bottom P. 10. July 16/81."